Prince William is already a major international celebrity. It’s not like he needed us to love him more, and yet — and yet — he pretty much naturally melts hearts with everything he does. It only helps that he’s becoming more and more of a lighthearted, goofy dad as the years go on. Honestly, it’s a really good look for him. Once again, William has shown us just how goofy he can be. 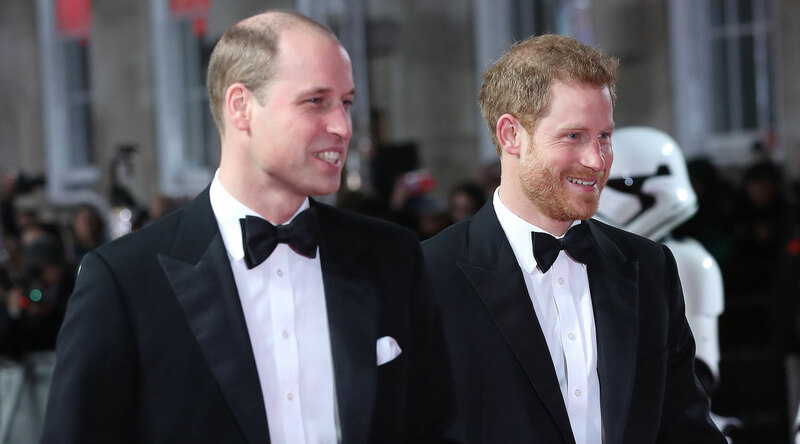 On Tuesday night, William and his wife, the Duchess of Cambridge, were in the audience at the 2017 Royal Variety Show, and, needless to say, they stole the show a little bit. Specifically, William stole the show when he demonstrated his “Miranda gallop,” which is a running joke from the TV show of the 2017 Royal Variety host, comedian Miranda Hart. William’s a natural at it, of course, and was totally game to show the rest of the audience. Obviously, everyone died watching this unfold. A thunderous laugh erupted as William acquiesced to one of the young performers onstage who asked him to join in their fun (read: performing the Miranda gallop). Viewers took to Twitter to shower praise on William as well. Prince William just galloped on the royal variety show. When will your prince ever? The only person who apparently wasn’t impressed with William’s dancing was William himself. Never change, Will. Never change.